What Is Legal Separation in Texas? Legal separation occurs when a husband and wife split up, but do not take the formal step of divorce. While it is possible in many states, Texas has no regulations or statutes recognizing legal separation. Therefore, an individual looking to separate from a spouse will have to consider divorce (either fault or no-fault) and its attendant variables. Since Texas does not recognize legal separation, a couple looking to go their separate ways will need to decide whether they want to take the formal step of divorcing, since there is no step short of such an act. Since Texas is a community property state, keep in mind that maintaining separate domiciles, even if living apart, will still mean that everything is considered marital property should one spouse subsequently decide to file for divorce. In short, one cannot separate and build an independent life in Texas short of filing for divorce. What Is Considered Legal Separation in Georgia? Is Inheritance Split in a Texas Divorce? Grounds for divorce are covered in the Texas Family Code, Chapter 6 (6.001-6.007). Texas recognizes both fault and no-fault divorce. Requested grounds are incorporated into the Petition for Divorce that is filed in your county's District Court. As the name suggests, no-fault does not require any serious failings. Fault-based divorce may be granted under six grounds; cruelty, adultery, conviction of a felony, abandonment, living apart and confinement to a mental hospital. Texas is one of nine community property states, The general belief adopted by these states is that once individuals are married, everything is split equally--income, property, even obligations. This is distinct from traditional common law states, which continue to allow individuals to retain independence so long as they comply with various separation requirements. Therefore, a court in Texas will not recognize separate domiciles as non-martial assets. Generally speaking, property acquired during the marriage will be divided equally between spouses. Property distributions are covered under the Texas Family Code, Chapter 7 (7.001-7.006). While alimony is not recognized, spousal support exists in Texas as a means to assure equal property distributions in a divorce. Texas is stingy in the allocation of spousal support, only allowing it in certain instances where a spouse is incapable of supporting himself, has been the victim of domestic violence by her spouse, or lacks earning ability sufficient to provide minimum support. Spousal support is limited in duration and amount. Courts will look at several factors in making such a determination. Divorces can be lengthy processes. In Texas, there is a 60-day stay after the filing of the initial Petition to allow the parties to contemplate whether they wish to proceed. After this period ends, the divorce process begins, with the opposing spouse being able to retain an attorney and file a Response to the Petition. Pandova, Sameca. "What Is Legal Separation in Texas?" 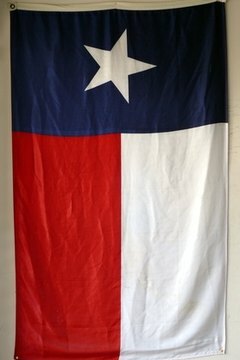 , https://legalbeagle.com/6596477-legal-separation-texas.html. Accessed 19 April 2019. Which States Have No Fault Divorce?